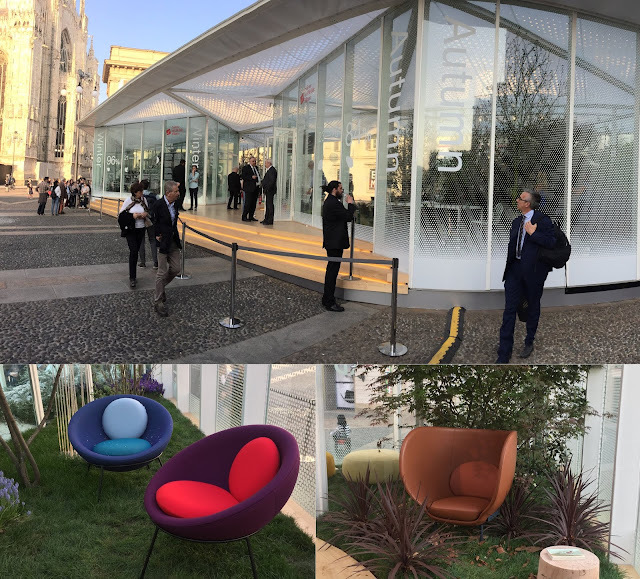 Salone del Mobile/Milan Design Week 2018 is filled with exhibits, astounding installations, extraordinary product launches, new designs, and the latest in furniture. 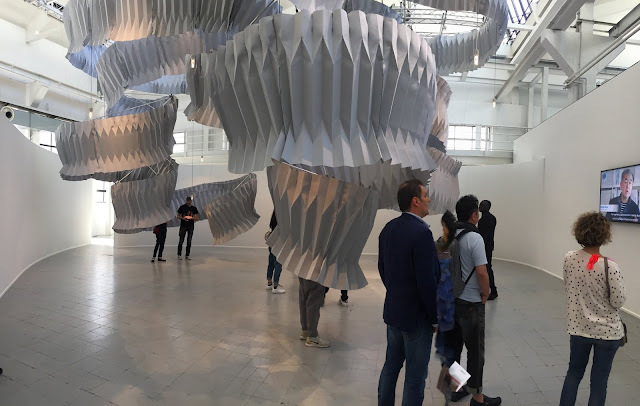 There is so much more to see and experience, but when you see people crowding at an installation, more people wonder what's happening and more curious people join the crowd. 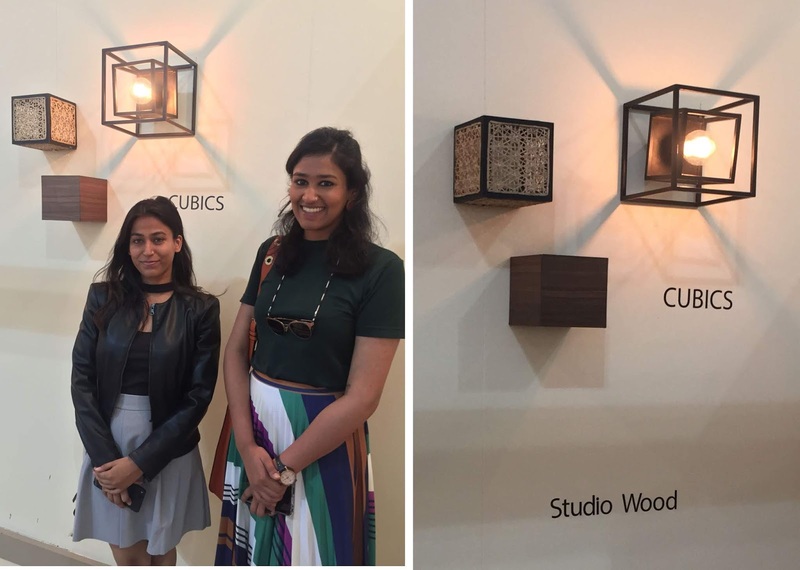 There are some designs and installations we felt were best of the lot, so here are our shortlisted picks from the fair. Materials Village, an installation dedicated to materials, new technologies, and sustainability will host more than 20 companies. Two great installations dedicated to the theme of sustainability and materials were presented in the Art Garden. 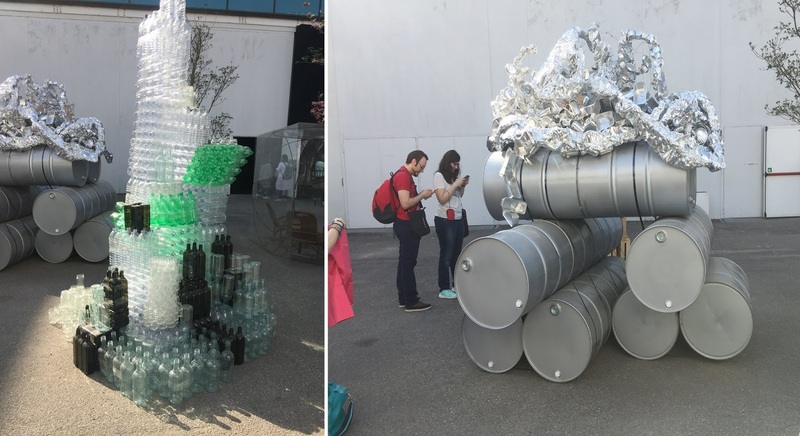 A spectacular tower by Studio Marco Piva shows materials at the base of an architectural project, whereas another installation of excellence on the theme of circular economy is curated by the famous designer Yona Friedman for CONAI and Consorzi di Filiera for packaging recycle. Among many new entries, a name of excellence stands out such as PUMA with the MIT Design Lab of Boston, showcased together an ongoing research in the field of bio-design. 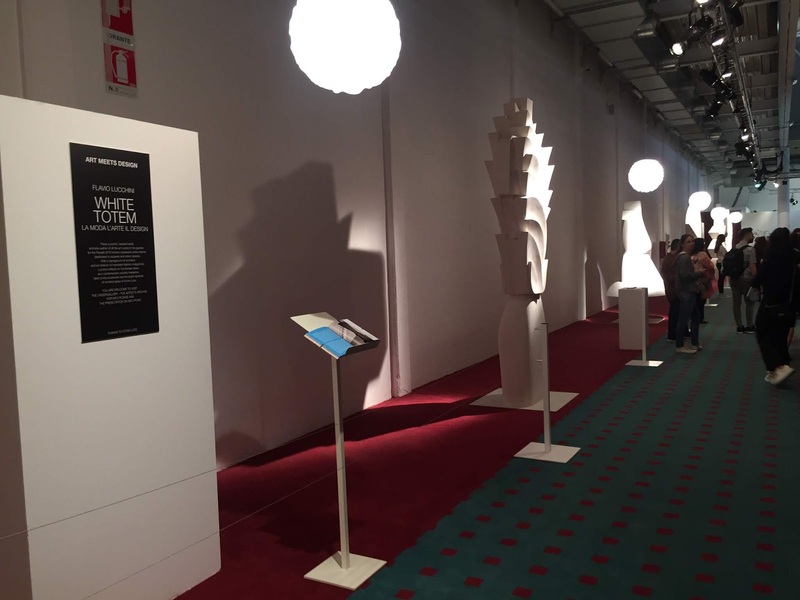 The project was on a high-performance fabric that reacts according to the percentage of air pollution. The exhibition focused on how the next generation of wearables can adapt in real time using living organisms to enhance performance and personal expressions. The four experiments include breathing shoe, deep learning insole, carbon eaters, and adaptive packaging. Nendo: "forms of movement" is the sensorial exhibition, proposed by the award-winning and very anticipated Japanese studio Nendo. This year 10 concepts were presented based on the idea of movement, originating from an object’s function, material or production process. 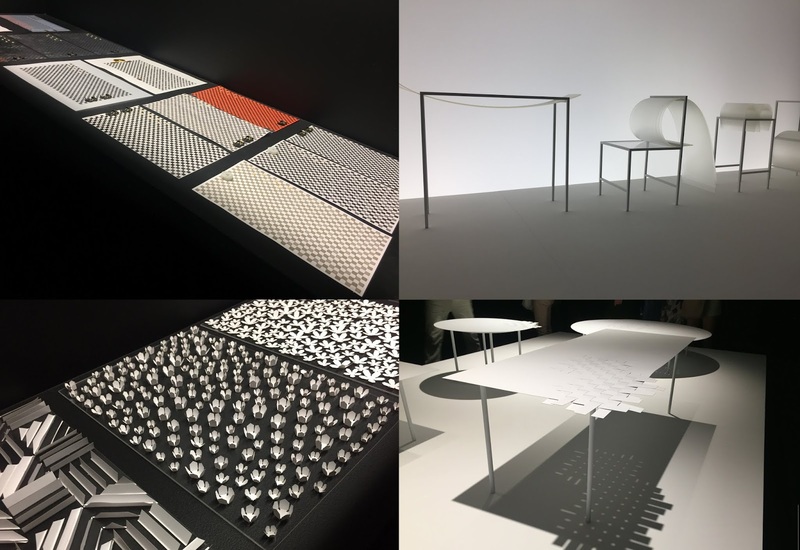 Some of the noteworthy mentions include woven table, bouncy layers, paper torch, zippppper project, blooming shades, four-layer vase, seven sliding cases, press tiles, variations of time, sketch capsule figures. 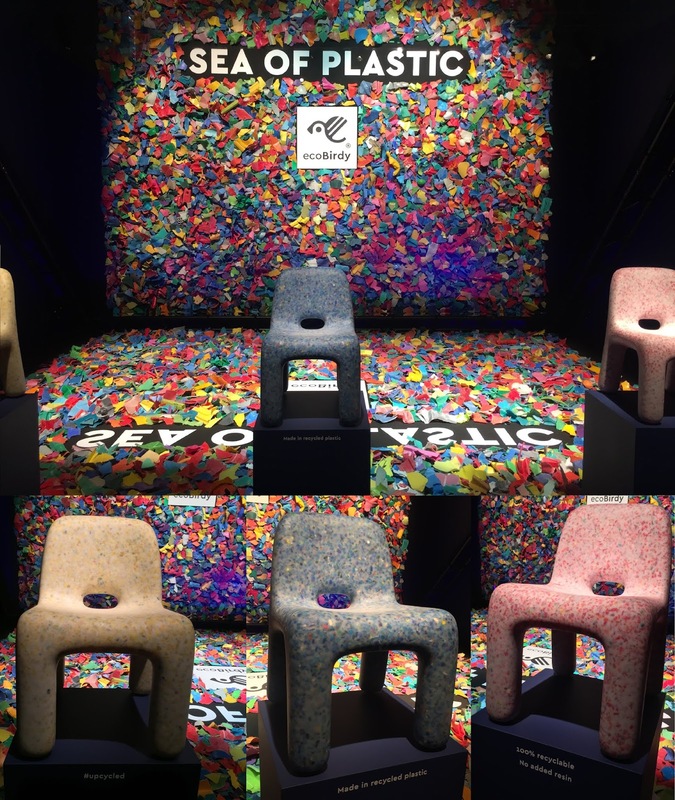 The up-cycling and recycling of plastics are important for the future of the planet. 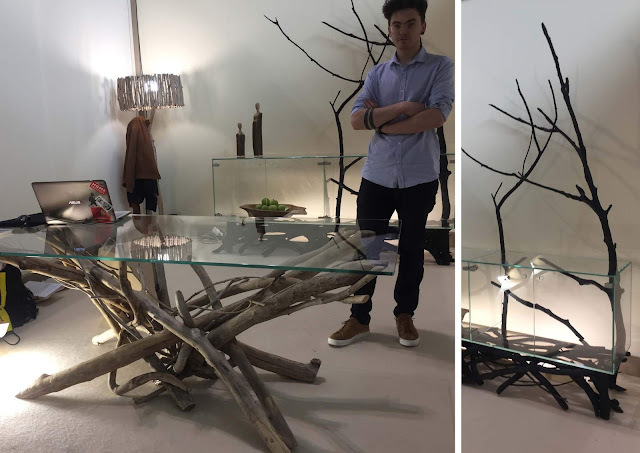 Ecobirdy is a new brand that creates ecological design furniture. The first collection of children’s furniture is produced exclusively from recycled plastic waste from Europe. A “terrazzo” look created with small coloured pieces of recycled plastic toys gives an original touch to the collection and makes each product a unique piece. This idea is to contribute to a more sustainable future as against the biggest man-made danger to the oceans there is. An effort in innovation for a beautiful planet. 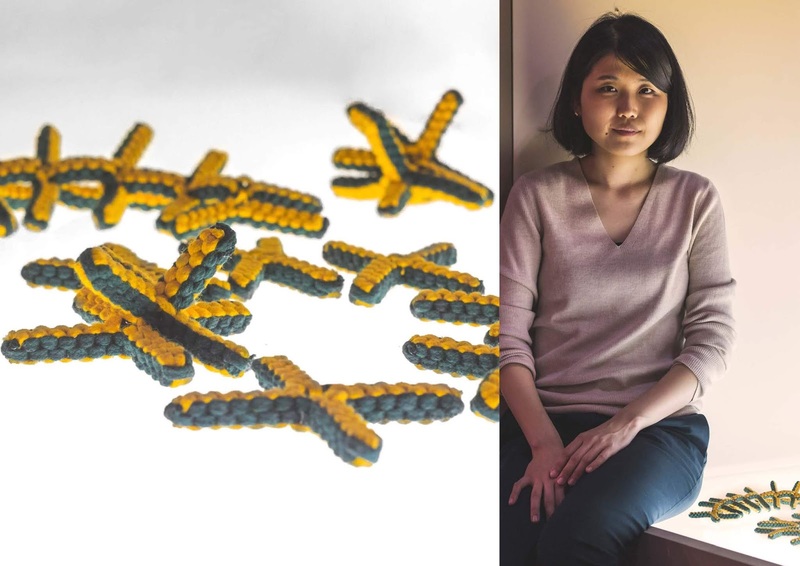 Dassault Systèmes teams up with leading designer Kengo Kuma to tackle air pollution. Kengo Kuma presents a giant spiralling air-purifying sculpture with the ability to absorb the emissions of 90,000 cars per year. The sculpture – titled ‘breath/ng’ – comprises 120 hand-folded panels and is a towering 6 meters tall. It is a challenge to create a solution-based design that maximizes the use of existing pollution and neutralizing solutions. Under Super Cover, a special installation by Studio Modulo indicates how form is essential. A delicate and embracing cloud invades the space with soft tones, lights and metallic sounds and guides the visitor through ancestral feelings, on a journey made of natural elements and sensory suggestions. A garden pavilion, “Living Nature. 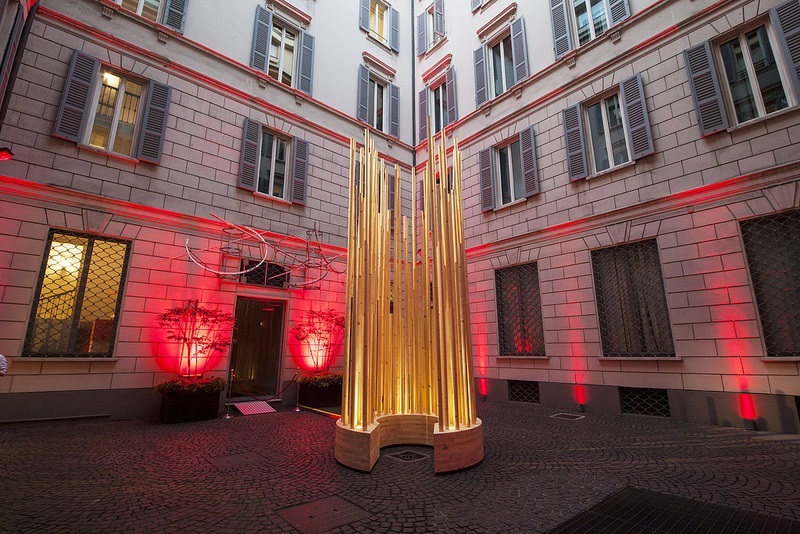 La Natura dell’Abitare”, by Carlo Ratti Associati explores the relationship between nature and living. It is designed to explore whether or not space, urban or domestic, can become more human-friendly through the sustainable use of natural resources. Visitors who enter will experience four different seasons of the year - Winter, Spring, Summer, and Autumn. 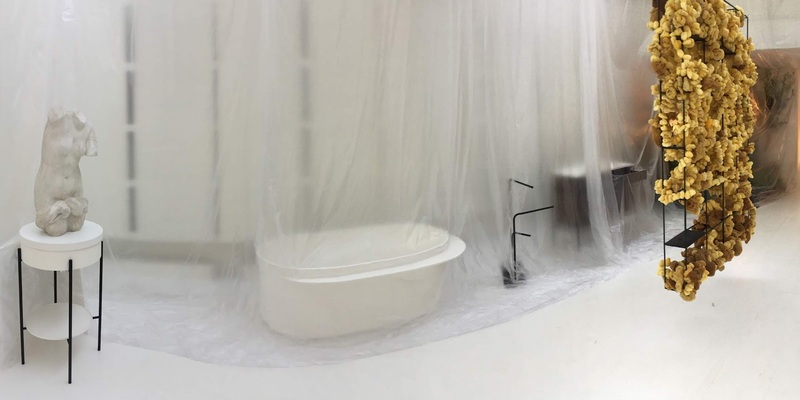 The bath exhibition at iSaloni 2018 focused on innovation and sustainability. 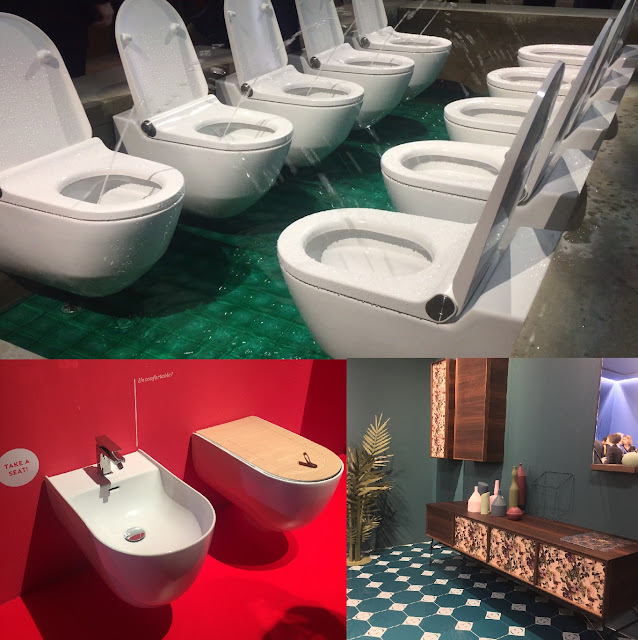 Cutting edge products for modern bathrooms reflected today’s strong demand for efficiency and energy savings, with the accent on water efficiency, indoor pollution prevention and personal health. 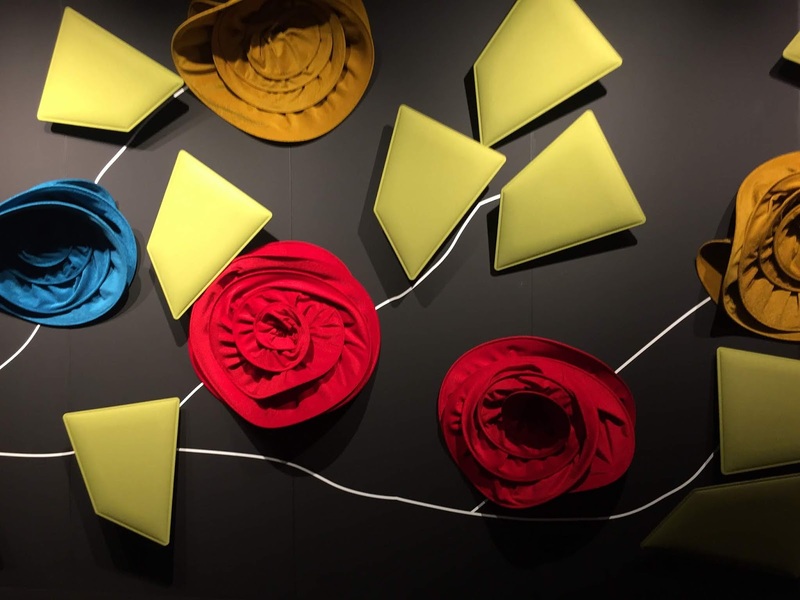 Wellness and technology came together in ergonomics, colours and accessories, designed to stimulate emotions. Highlights included ceiling lights with inbuilt showers, cubicles that solved space problems, closets with enhanced hygiene features, and more. Some of the interesting things include Cleanet Riva shower toilet - a new technology with the sensor based washer. A design by Laufen. Dornbracht’s “Aquamoon,” created in collaboration with designer Michael Neumayr, was recently voted as one of the most extraordinary new products of the Salone del Mobile 2018. It consists of four different shower rays, which in combination with the different light scenarios make showering an experience for all the senses. For the first time, Grand Seiko makes its presence at Milan Design Week 2018 with 'THE FLOW OF TIME' art installation. It shows the worldview of Spring Drive, which has reached a new dimension that makes you feel the transience of time, approaching the essence of time. Twelve acrylic objects in different shapes are shown in the space, and parts of the Spring Drive watch movement are sealed inside of them. Looking into the objects, small twinkling parts and framed scenery are merged together, so you can feel the watch movement is approaching the essence of time. And small lights in the transparent objects imply the existence of small electricity generated by the parts themselves in silence. 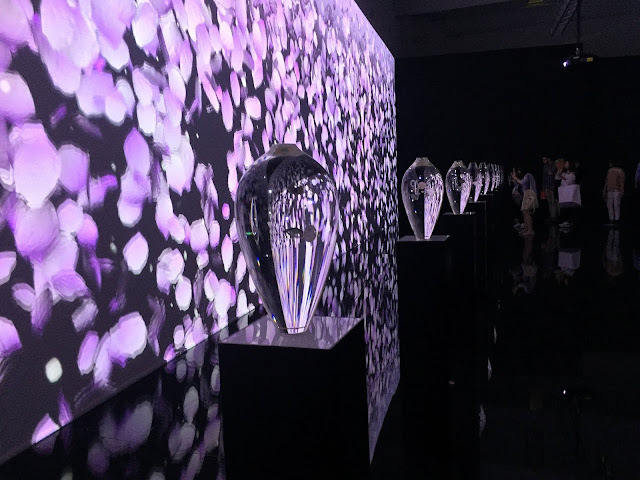 It is an art installation in which one can feel Grand Seiko’s thought just by looking into it. Designed by Takt Project. Urban Hugs by Architect Stefano Boeri, a prototype public space designed to promote the gesture of hugging and conversation. To detach networks of social interactions for a few seconds and embrace each other. To abandon the metropolitan solitude for a few seconds and embrace someone: a friend, a stranger, a love, a lover, a son, a grandmother, the florist, the bartender, the head office, the Cast Iron. It is accompanied by the melodies of the cello by Piero Salvatori, in a liberating embrace. A micro-architecture made entirely of wood, which defines the physical limit where one can stop and isolate from the rhythms of everyday life. The prototype of a "minimal" place that is both open and permeable to view, but personal and intimate in fruition. A space for two. Flavio Lucchini resident artist and author of all the artworks in the Superstudio’s garden. For Parade 2018, he stages “White Totem – Fashion Art Design” which showcases impressive white totems destinated to squares and urban spaces. With a background as an architect and art-director of important fashion magazines, Lucchini reflects on women dress as a metaphor of contemporary society. The Totems recount a dress that has become a pagan idol and at the same time make fashion eternal. 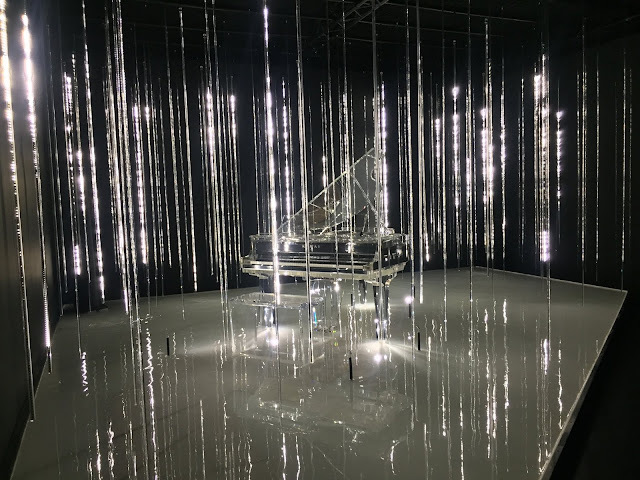 Kawai, in collaboration with the light artist Takahiro Matsuo, exhibits the poetic installation “Crystal Rain” where a piano with a transparent end floats upon undulating waves of water. As the instrument is played, each note sparkles as droplets of light, raining down into the space surrounding the piano, enhancing the crystal transparency and luxurious glow of this piece. This dreamlike piano is created to celebrate the company’s ninety years. Melogranoblu presents "Oneiros",an installation in which the visitor comes in contact with a creature with shimmering shapes, sleeping in an empty space, alive and mysterious, ancient and incomprehensible. Glass is its flesh, light is its breath, colour is its movement. It seems to be in front of the original shapes of the creation and to watch the very own flux of the matter, its eternal mutation, following the line of our gaze and the suggestion of our thought, released from the dream. Caimi Brevetti's exhibition space is designed to create strong feelings in the visitor. 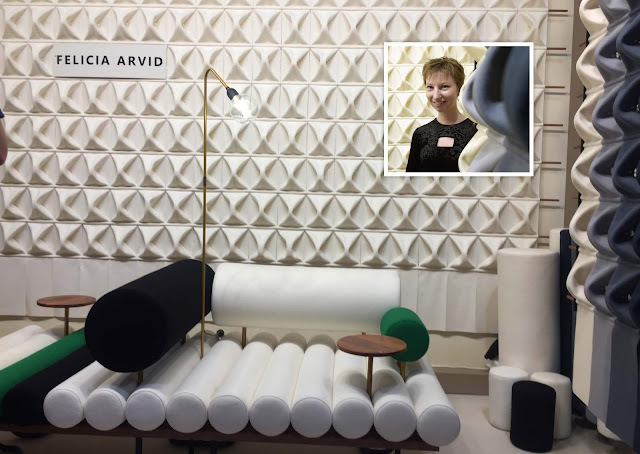 This is obtained through an unusual way of presenting sound-absorbing acoustic products created with Snowsound and Snowsound Fibre Textile technologies. It reduces the annoying acoustic reverberation improving quality both of life and of work. As protagonists, this project allows one to experiment and at the same time activate the sight, touch, and hearing senses through a real experience that the visitor can do by going through a sound tunnel. The Cotodama Lyric Speaker is the next generation speaker. It shows song lyrics beautifully through your phone. its design concept is "decorate your life with lyrics". The speaker visualises lyrics as an art piece in your living room. The brother model speaker consists of two boards leaned against the wall like a vinyl record jackets. 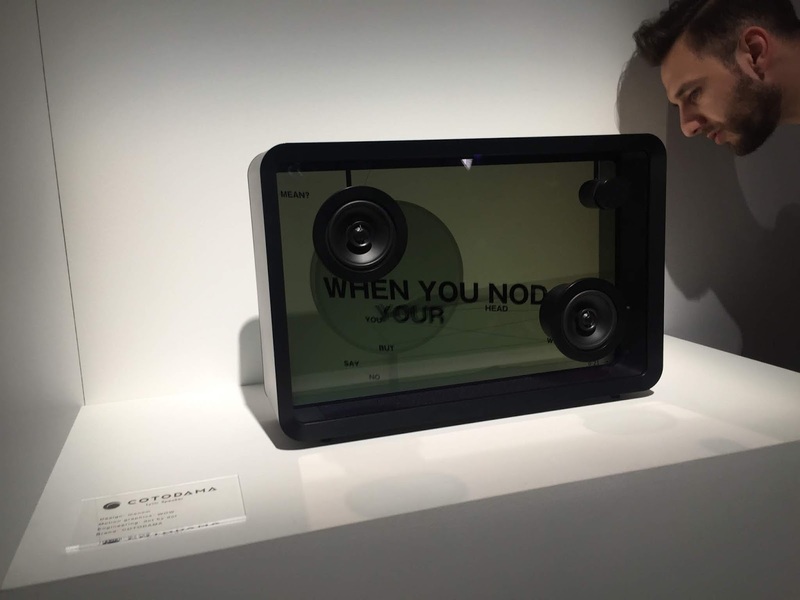 front side is a screen which displays the lyrics, and the other one located behind contains two audio speakers. If you are wondering where can young designers get visibility, then it is the Milan Design Week for sure. 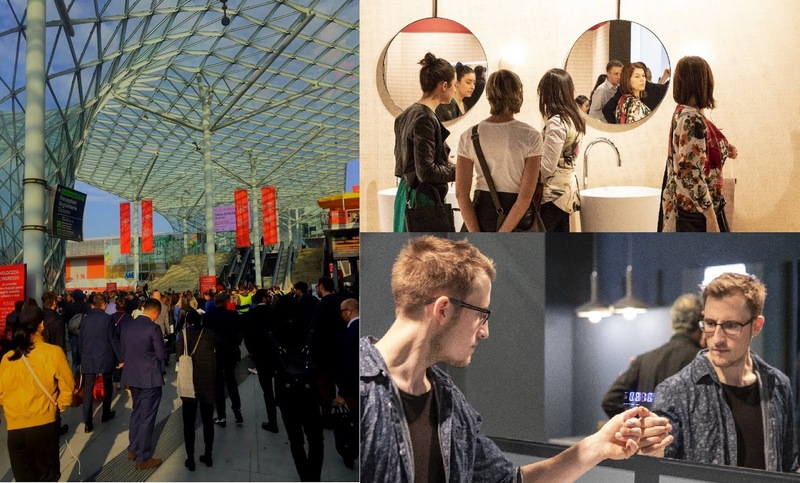 Every year, at the Milan fair, there is an event dedicated to the young designers – Salone Satellite. 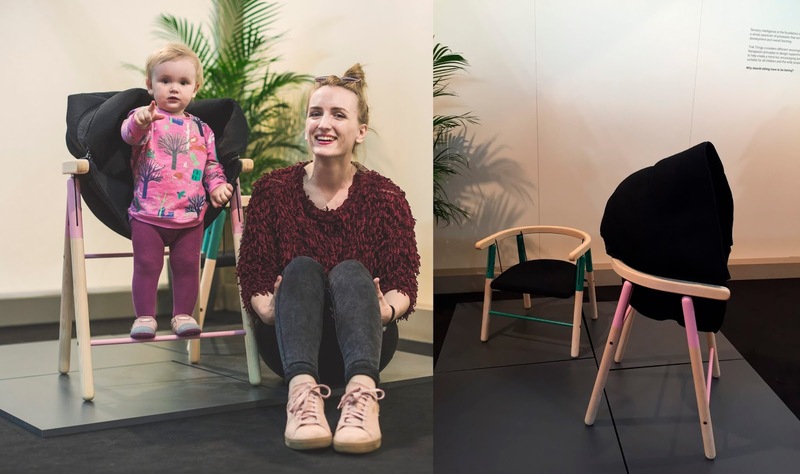 These young designers from all around the world come together to showcase their creativity, ideas, and be visible in the furniture market. 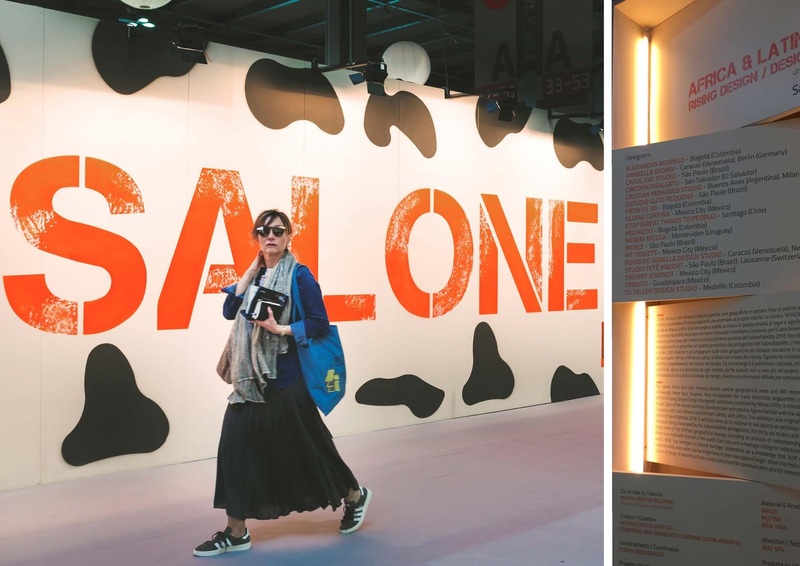 The Salone Satellite Award is a further opportunity to facilitate contact between young designers and businesses. This year’s focus was Africa and Latin America, with designers from all over the world exploiting crossover forms - bridging design, technology and tradition. Natalia Wieteska's Brinkk sideboard under the brand Envee is a storage solution inspired by the sculptural forms of contemporary architecture. The seemingly gravity-defying, monolithic, block of timber with its incision is an exercise in precision and perspective. The full collection consists of a range of sideboards and bookshelves which use this approach as inspiration. This product won the Red Dot Award for the Design Concept. 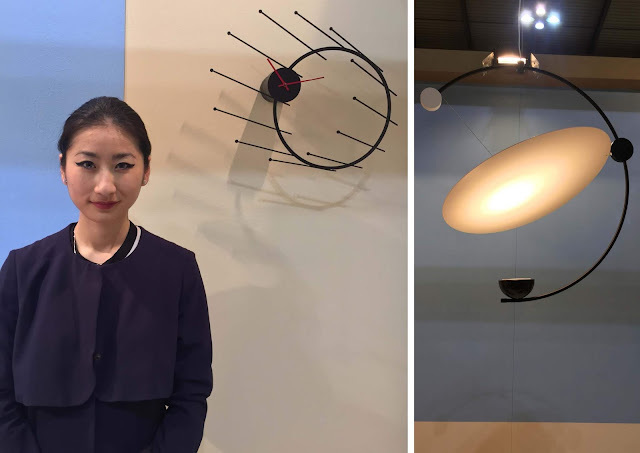 Cecilia Xinyu Zhang is another young designer whose works - The Fifth D Clock and Equant Suspension are worth mentioning. 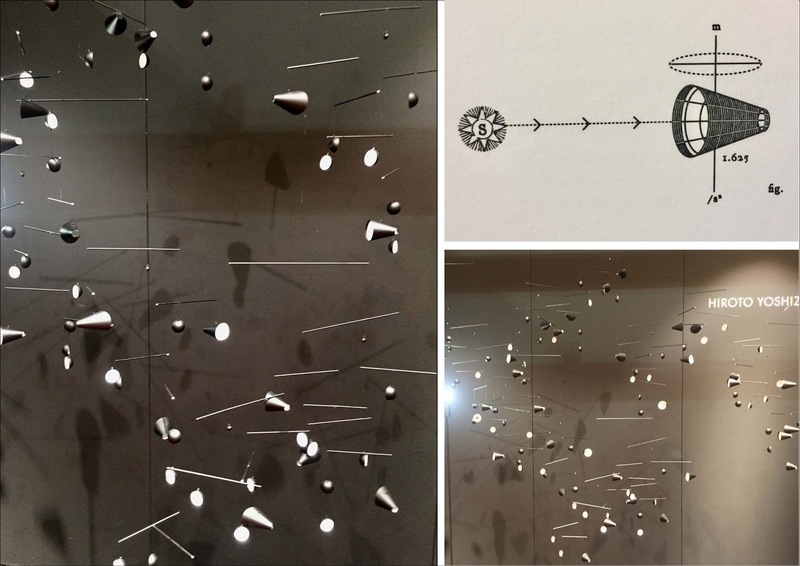 Her work explores the idea of introducing spatial consciousness into objects in altering viewer's perception on object and space. The Fifth D Clock is an attempt to interpret the concept of Fifth Dimensional Space. And, Equant Suspension lamp with an adjustable circular reflector provides indirect, diffused, and reflected illumination. This means single point light sources can create diffused lighting. Cove lighting is in the past as sleek decorative lights work in tandem across a spaces of all sizes. Designer Gavaz De Biasi and his team pick drift wood from riverbanks and lakes. They cure them and build furniture that’s truly special. Tables, sideboards and pieces of art. The concept is committed to the daily and creative use of what environment provides us with. An elegant and playful floor lamp wants to light your readings with its big bright eyes. Its prominent tail moves together with the eyes when you adjust them closer or further. 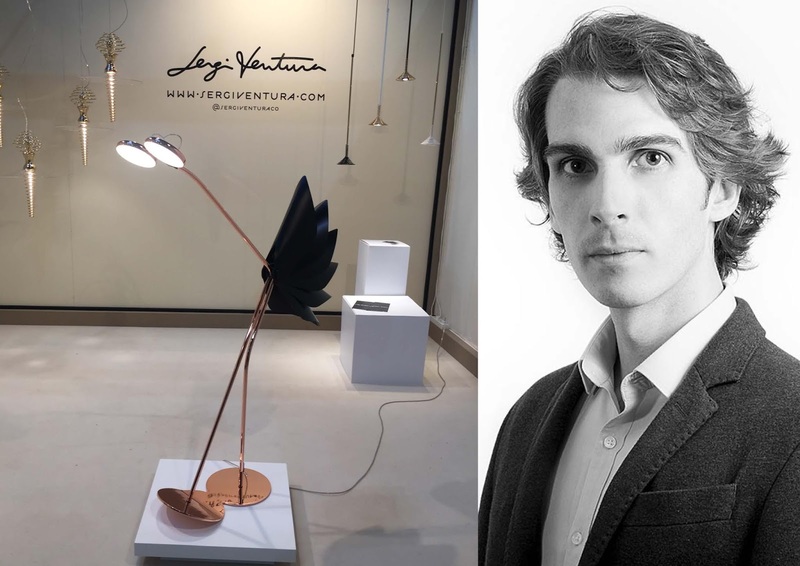 Dorking floor lamp by Sergi Ventura. Young design from Salone Satellite. His designs start with the desire to tell a story willing to decorate spaces that want to be unique. Imagine one solitary light, surrounded by a hanging sequence of cones and parabolic hoods, white on the inside and black on the outside. 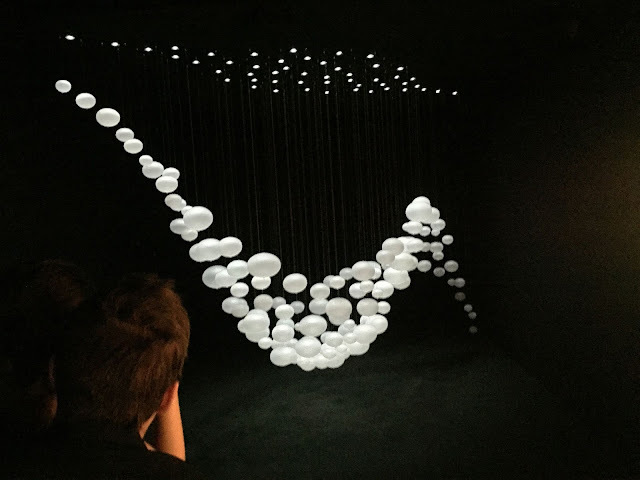 The light flows through the cones, bouncing off the white, adding to the interplay of the installation. The star of Salone Satellite, the Milan Furniture Fair for young designers, and creator of this wonderfully orchestrated ‘mobile’ is Hiroto Yoshizoe. He focuses on interpreting the ideas of change, time, and movement in space to create designs from both modern and analogue approaches. Even furniture can be used to make statements. Evocative young design at Salone Satellite is the Whittle Away shelf by Stoft. Colours infused into wood with a polymer resin. 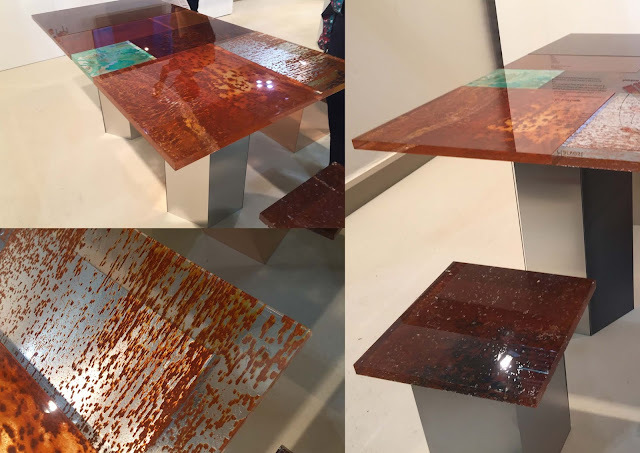 By allying wood and resin, the studio Atelier Insolite gives birth to unique, original, and eco-friendly pieces. The idea is to create emotional connections between furniture and people. A groovy modular system made of five velvet-covered foam shapes. Colourful design by Ilco. 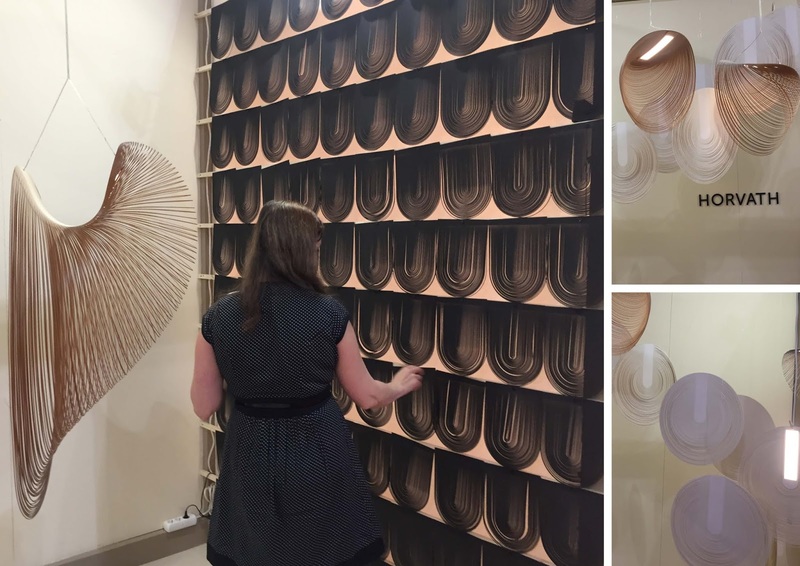 Zsuzsanna Horvath's work is based on turning sheet materials into sculptural three-dimensional objects. Her kinetic spatial creations formed by gravity come to life with the help of light and air movement as ripples go through the thin cuts. 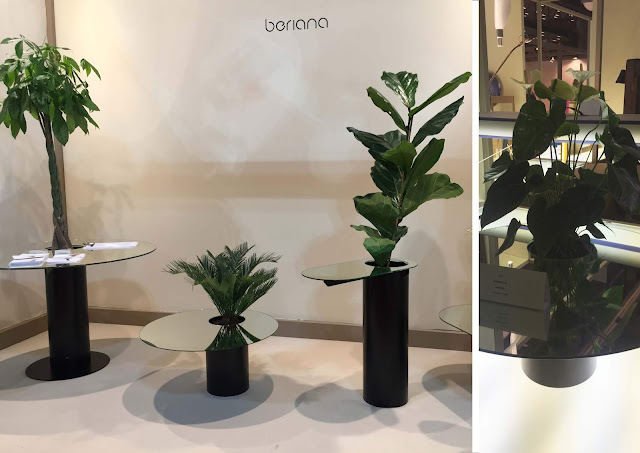 The Verdable table, by Anna Szczurek and Sophie Berianidze of Beriana studio complies with this modern need to optimise space. The table’s mirrored top reflects any flowers that are placed in the vase-pedestal, amplifying their presence. Felicia Arvid's textile room. She's a Danish designer who juggles between fashion, design, and architecture. Using her knowledge from the fashion world she works with textiles and fabrics to create a new design. She used wool for the sofa, where you can insert a side table or a lamp wherever you like. With wool, she also created acoustic panels and room dividers which can be customised with different colours and arrangements. Wool has sound absorbing quality. Her sofa-bed system embraces the individual and the diverse ways of living by adaptability. Rust Harvest. One of the most original ideas at Salone Satellite is this unusual technique by Studio Yuma Kano. The rust of a metal sheet is transferred into the acrylic. Organic warmth in a man made material. This design aims to inspire a fun, creative world where everyone is able to find new possibilities by exploring unnoticed aspects of the everyday. 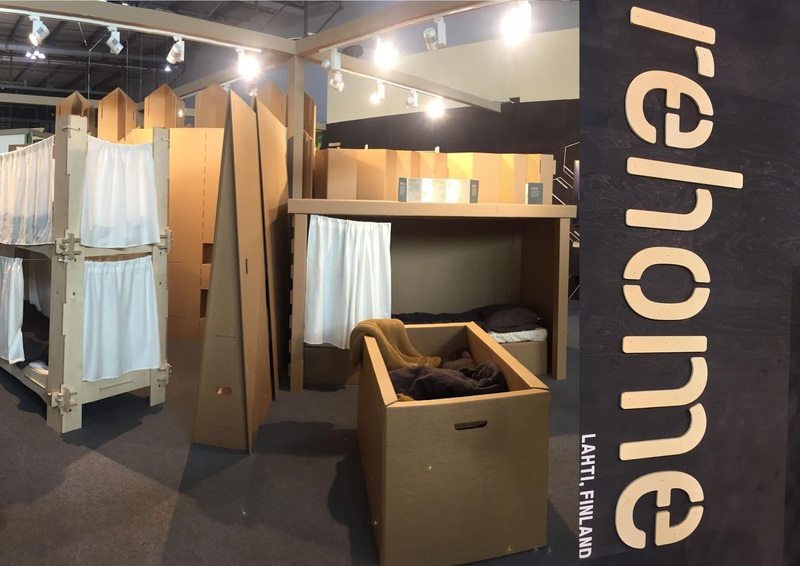 Rehome is a project all about rapid production of inexpensive furniture in high volume to meet the criteria of the primary needs in temporary housing. 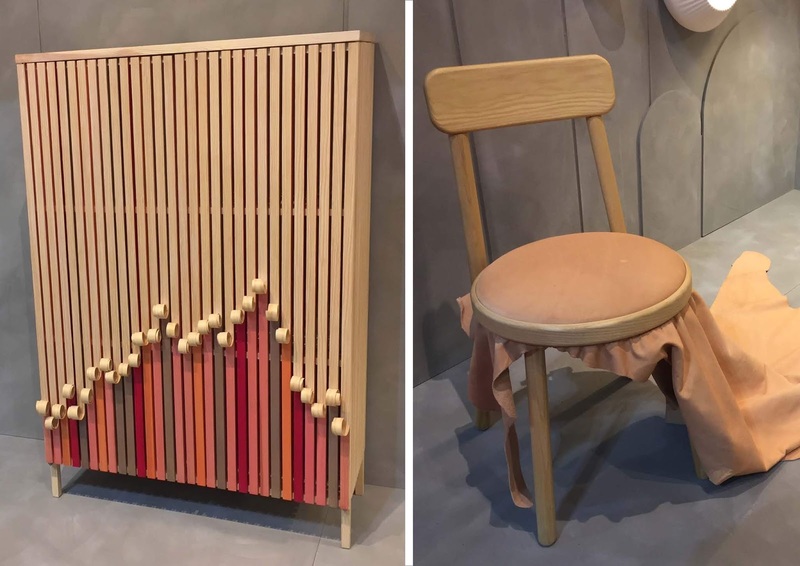 Plywood and corrugated cardboard as furniture materials allow rapid production, building, and recycling and brings furniture to life. Beds, tables, and more, the ultimate bid to make sustainability count. 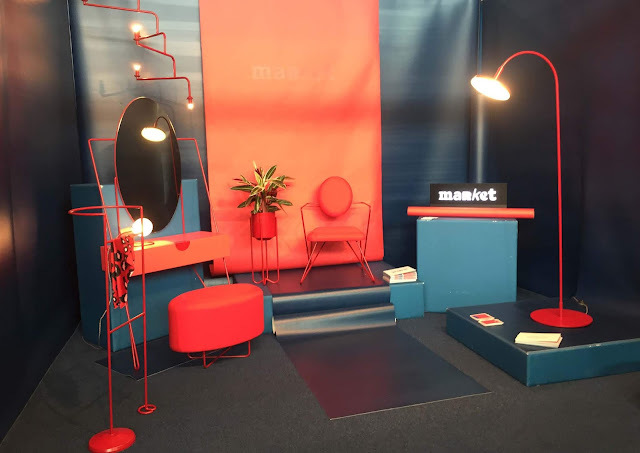 Market is a design collective specialised in branding of commercial spaces, but actually provides a wider range of disciplines - the collaboration with associated creative professionals strengthens their design approach as well as the formation of exemplary and well-tailored products and brands. PileUP Life is a lifestyle brand founded in Taiwan. In order to design a modular chair system, we have deconstructed a chair into 9 parts, from seat to legs. By standardising all components, users can mix and match different parts to create thousands of styles, as they were playing with legos. We are thrilled to see the Indian presence grow year by year. Studio Wood, a young Delhi-based firm, designs bespoke furniture and spaces with diverse materials and adds quirkiness to create unusual products and spaces. 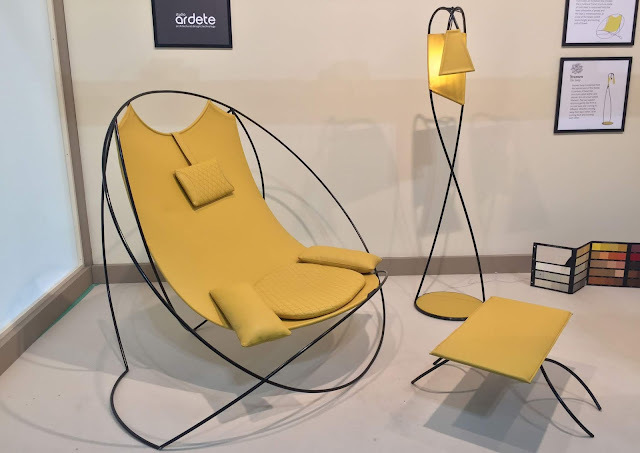 Chandigarh based Studio Ardete blend art, design, and functionality together - to celebrate the joy of life - made evident in their furniture, inspired by the flower. 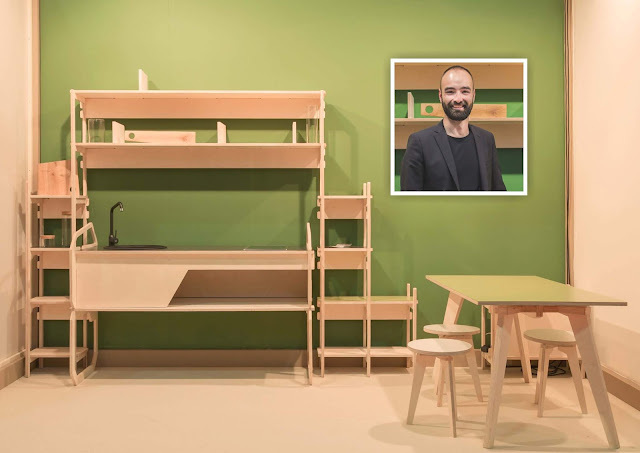 Stefano Carta Vasconcellos won the first place for his Light Kitchen design. This kitchen counter can be assembled with seven elements and with no screws. Tink Things designed by Benussi&theFish won the second place. The clever design caters to the children's playful and sensory needs, helping them grow happily and with awareness. Himuroyuri’s Soft Block design won third. A new home decoration object that through its softness and bending capacity and a tease to twist encourages interaction and distraction for anyone at any age.